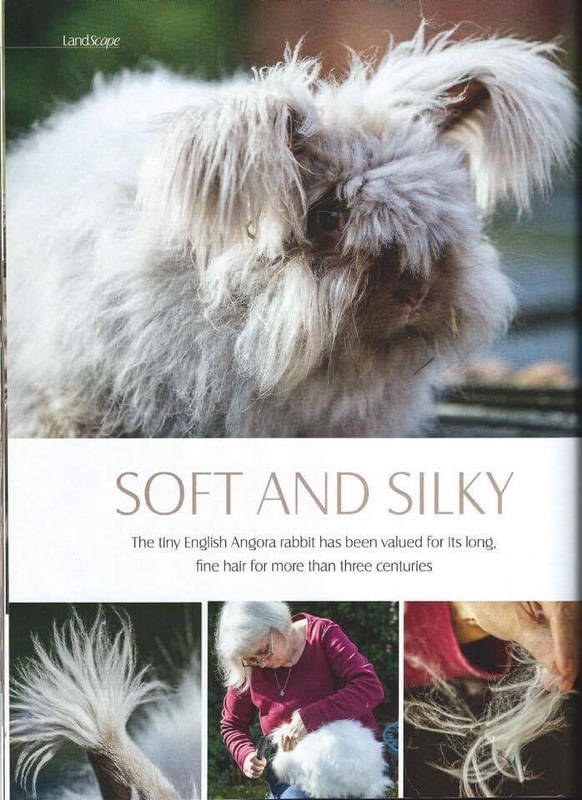 Article on the English Angora rabbit in LandScape magazine in Jan/Feb 2015 and extracts posted here with kind permission of LandScape magazine. 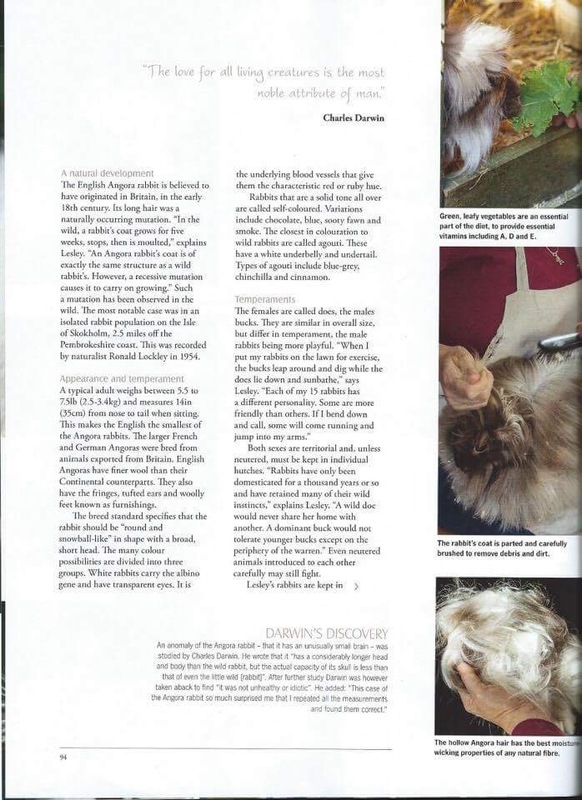 NB: This article featured in LandScape magazine in Jan/Feb 2015 issue and is posted here with kind permission of LandScape who retains all copyright to the images and information within the feature. 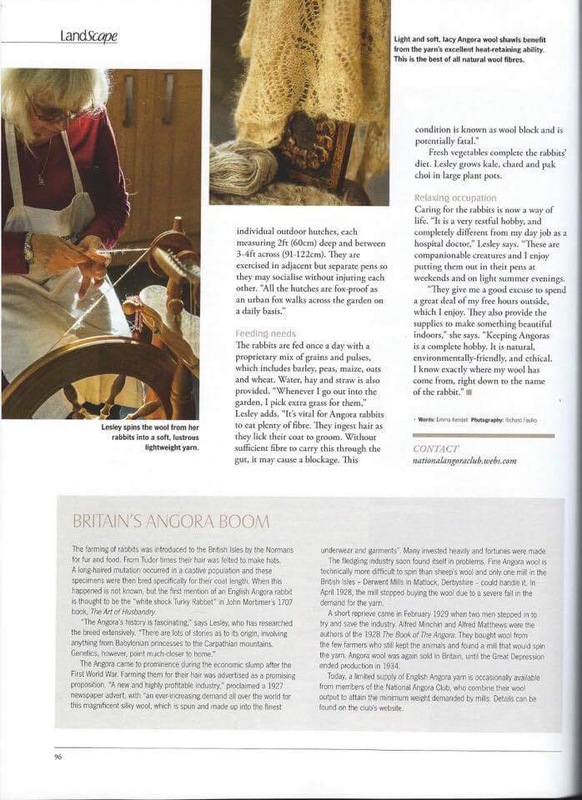 Posted 06/09/2017 by LH & filed under Wool Products.